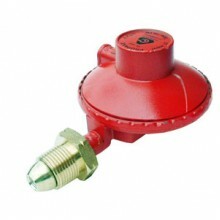 Propane Regulator 37mbar. 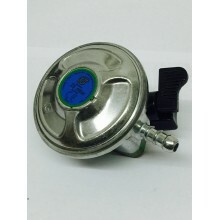 Capacity 1.5kg/hr Max Inlet pressure 20bar Operating pressure 37 mbar..
21mm Butane Regulator. 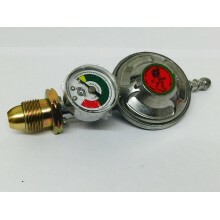 Fits butane cylinders with a 21mm valve. 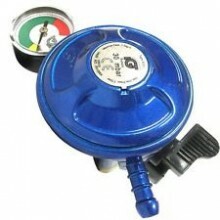 Capacity: 1kg/hr Pressure..
21mm Butane Regulator with Gauge to fit Butane Gas Cylinders with 21mm clip on valve. Complete with ..
4.5kg Butane Regulator. 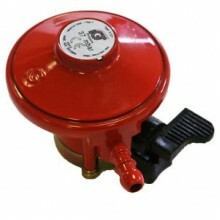 Butane Regulator for 4.5kg cylinder. 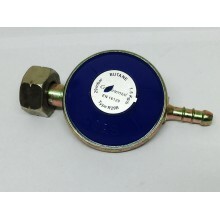 Operating pressure - 28mbar. 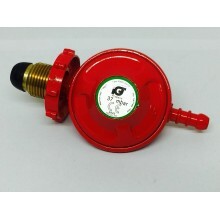 Reinf..
Patio Gas Propane RegulatorDeliveryDelivery for this product is £4.99 to UK Mainland and Lowland Sco..
Propane Regulator 37mbar 4kg. 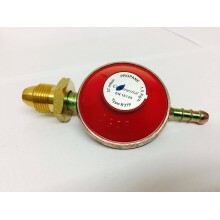 For use with larger Propane Appliances or Multi Appliance installa..
Propane Regulator with Gauge to fit all Propane Gas Cylinders. Complete with leak & Level Gauge ..